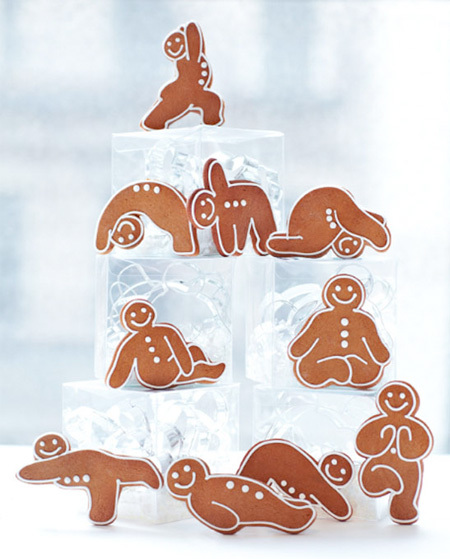 Adorable gingerbread men in different yoga poses created by Patti Paige. 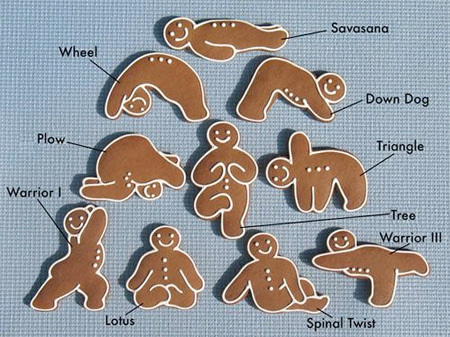 Yoga fans can order these awesome cookies at the Baked Ideas store. 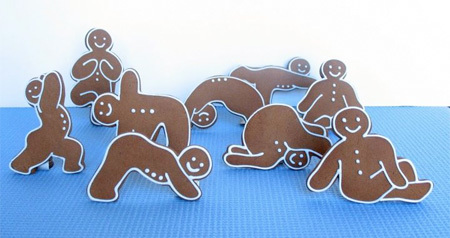 People who love to bake can even buy a set of yoga cookie cutters. Yeah, these all look kind of sexual. I guess it’s the expression they have. Weird. But funny, it brightened my morning. 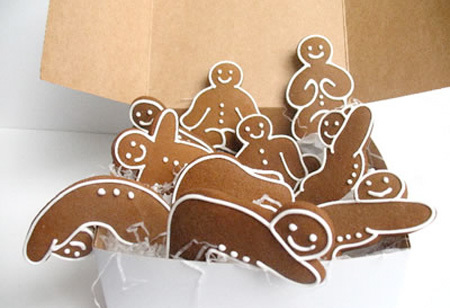 Plus eating the kama sutra cookies would be that more enjoyable.